As founder and convener of the Global Peace Initiative of Women (GPIW), Dena Merriam has worked to engage women in peacebuilding activities in conflict and post-conflict regions around the world. She is one of the few women to organize major international interfaith events and has built a global network of renowned women spiritual leaders to foster a stronger role for them. For the past four years, a major focus of GPIW has been the building of trust and goodwill between Israeli and Palestinian women. To achieve this, Dena has organized numerous dialogues with women in the region and convened a major summit of Israeli and Palestinian women leaders at the Dead Sea in Jordan in December 2004 called “Toward Justice and Reconciliation.” GPIW developed a similar program to establish a dialogue between Iraqi women of different ethnic and religious backgrounds. Dena also serves as the co-chair for a global series of youth leadership summits that GPIW has organized jointly with the United Nations. This series began in Senegal with the Pan-African Youth Leadership Summit in June 2004. Successive summits included one for Asia in Japan, one for Latin American in Brazil, and a follow-up for Africa in Morocco in August 2005. 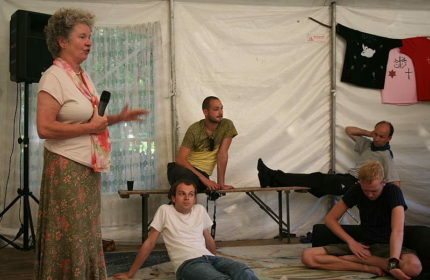 These regional summits culminated in October 2006 in young leaders peace building retreat with young people from areas of conflict around the world. The first project to emerge from this series of summits was a Sudan peace dialogue with young professional from throughout Sudan, which took place in March, 2007. The group, which included 7 from Darfur, formed themselves into the Sudan Youth Network for Development and is working on an action plan. The group will reconvene in Khartoum in fall 2007 to assess progress. A similar dialogue among young Cambodian professionals is planned for October 2007. In November of 2006, Dena organized and led a delegation of US religious leaders to Syria to meet with political and religious leaders there and discuss ways to open civil society dialogue between the two countries. She also led a delegation of religious leaders to Beirut just after the war to explore a greater role for religious leaders in peace building. She holds a master’s degree from Columbia University and has served on the advisory boards of the Harvard University Center for the Study of World Religions, and the International Center for Religion and Diplomacy. She currently serves on the Board of the Manitou Foundation, The All India Movement for Seva in India, The Interfaith Center of New York, and is an advisor to the Board of Dharma Drum Mountain Buddhist Association. 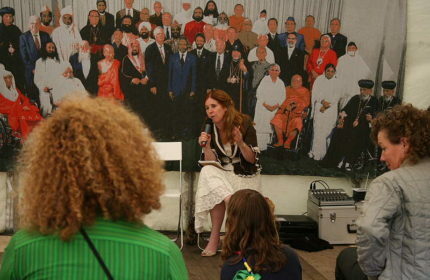 Dena will talk about her work in international peace building and in the development of interfaith dialogue. 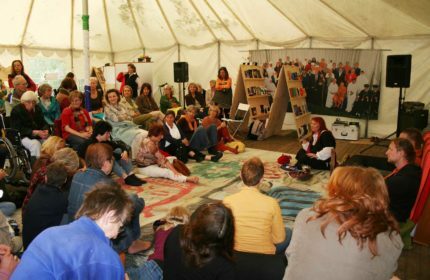 She will discuss her own spirituality within the context of her practice and the effect it has on her continued efforts in bringing people together, particularly women, from polarised environments to engage in dialogue. 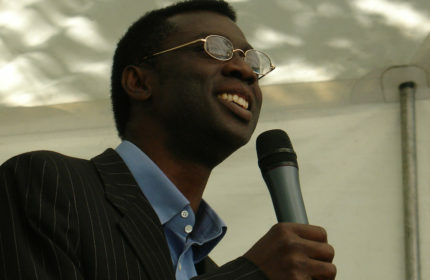 Pastor Tom Marfo was born in 1957. He is married with two children and is head pastor of The House of Fellowship Church, a migrant church in the southeast of Amsterdam, the Netherlands. He is also a director of Christian Aid and Resources Foundation (www.womentrafficking.nl), a leading anti-human trafficking for prostitution organisation in the Netherlands and Europe. Pastor Tom Marfo was the winner of the prestigious Marga Klompe Foundation Award in 2002 and the Hero of Amsterdam Award in 2003. He is a regular conference speaker on human trafficking for prostitution in Europe and the US, and is an expert and consultant on human trafficking from Africa to Europe. Edwin Frederick Kagin, J.D., was born in Greenville, South Carolina, on November 26, 1940. He is an attorney in Union, Kentucky. Kagin is the son of a Presbyterian minister born in Kentucky and a Daughters of the American Revolution mother born in South Carolina. His ancestry is Scottish (Stewart) Presbyterian on his mother’s side, and Calvinistic German on his father’s side—both sides boasting numerous clerics. He attended The College of Wooster in Wooster, Ohio; Park College in Parkville, Missouri; the University of Missouri at Kansas City in Kansas City, Missouri; and the School of Law of the University of Louisville in Louisville, Kentucky. He is married to Helen McGregor Kagin, a Canadian of Scottish descent and a retired physician. Kagin is an Eagle Scout, a former college English Instructor, a U.S. Air Force veteran, a National Rifle Association Certified Handgun Instructor, and an Honorary Black Belt in Kenpo Karate. He was editor of the American Association of Mental Deficiency and National Institute for Mental Health project that created the Adaptive Behavior Scale, an instrument for assessment of mental retardation. Kagin is a founding member, former Vice President, and former board member of FIG, the Free Inquiry Group, Inc., of Cincinnati and Northern Kentucky and is a published writer of poetry and prose that appears regularly in FIG Leaves (newsletter of FIG) and elsewhere, as Kagin’s Column. He is a co-author of the book The Fundamentals of Extremism; The Christian Right in America (Kimberly Blaker, ed. ; New Boston Books, 2003), available in English and Arabic. He was a founder and former board member of Recover Resources Center, which provides alternatives to Alcoholics Anonymous for addiction recovery. He is a member of the Secular Student Alliance national Advisory Board and its speakers’ bureau. Some of his works can be found on his web site, edwinkagin.com and on his blog, edwinkagin.blogspot.com. A collection of his writings are available in his book Baubles of Blasphemy (Edward Buckner, ed. ; Freethought Press, 2005). 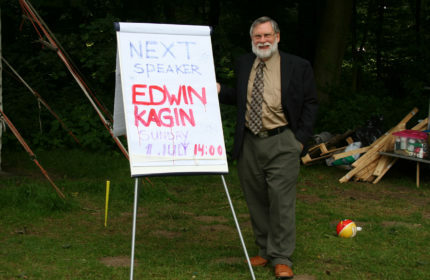 Kagin is the originator and was, for its first decade, Director of Camp Quest, the nation’s first residential secular summer camp for children of Atheists and other freethinkers (www.Camp-Quest.com), started in 1996 by FIG. He was an incorporator, and a founding board member, of Camp Quest, Inc., a national non-profit corporation established in 2002 to operate Camp Quest. In 2005, following ten successful years, he and his wife Helen retired from this venture, after transferring control and management of Camp Quest to other hands. Kagin has run unsuccessfully as “the candidate without a prayer” for the Kentucky Supreme Court and for the Kentucky State Senate. He has four children, Stephen, Eric, Heather, and Kathryn, a stepdaughter, Caroline, a granddaughter Maren, and two grandsons, Ethan and Quinn. Kagin, an outspoken public critic of attempted religious intrusions into secular life by government, is a frequent speaker and debater on national radio, T.V., and at regional and national freethought meetings. He is the current National Legal Director, and Kentucky State Director, for American Atheists and is on its speaker’s bureau. Edwin and Helen Kagin were awarded the “Atheists of the Year” award for 2005 by American Atheists. He is listed in Who’s Who in Hell (Warren Allen Smith, ed. ; Barricade Books, New York, 2000). Any previous lives will not be herein addressed. 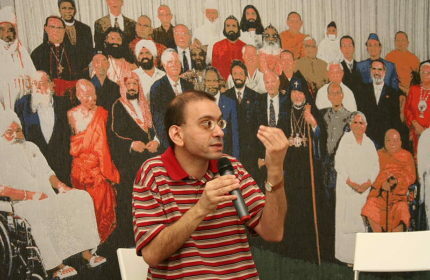 Prof. Dr. Assaad Elias Kattan was born in Beirut, Lebanon in 1967. From 1985 to 1990, he studied orthodox Christian theology at the University of Balamand. 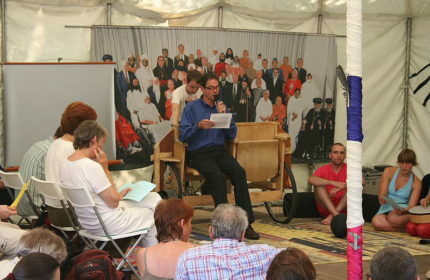 During the following ten years he completed his postgraduate studies in Thessaloniki, Greece, in Erlangen, and then in Marburg, where he obtained his doctorate in 2000, writing a thesis on “Incarnation and Synergy – The Fundamental Principles of Biblical Hermeneutics in the Writings of Maximus the Confessor” (Brill, 2003). From 2002 to 2004 Professor Kattan worked as an Assistant Professor at the Institute of History, Archaeology, and Near Eastern Heritage at the University of Balamand. From 2004 until 2005 he was Fellow at the Institute for Advanced Study in Berlin, where he did research on the reception of modern hermeneutics in Islamic circles in Lebanon after the civil war (1975–1990). Since September 2005 he has served as Chair held the chair of in orthodox Theology at the Centre for Religious Studies, Wilhelms-Universität Muenster. The Christian-Islamic dialogue and the relationship between religion and modernity are two of his key fields of competence. In his lecture, Professor Kattan will also address the question of when other religious teachings or positions become dangerous to one’s own beliefs. He will argue that this tends to happen when elements of one’s own faith are functionalised in a different way in other systems of religious thought. In this context, he will also reflect upon the question of whether the failure to understand differences in other people’s religious beliefs has only rational causes. Winfried Kopps was born in 1951. Raised in a liberal Catholic Christian family, at the age of 16 Kopps read a book entitled What is Buddhism?. Since then until today Buddhism has been a central theme in his life. At 22, inspired by Goethe, Hesse, Hoffmann, Kerouac and others, he travelled to the East on a pilgrimage. In India he met the great Tibetan magician Penor Rinpoche and His Holiness the Dalai Lama. He also heard about Chögyam Trungpa Rinpoche for the first time and recognized him as his guru, the most intimate bond to Buddha and his teachings. 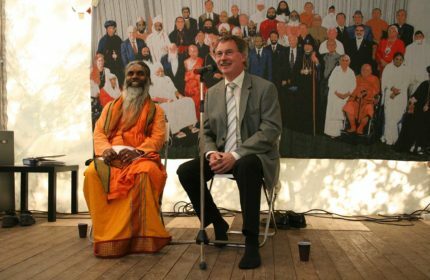 Winfried Kopps then spent a period of intense private study of several Hindu traditions, Anthroposophy and the like but mainly of different Buddhist schools, first of all the Shambhala Buddhist Tradition. 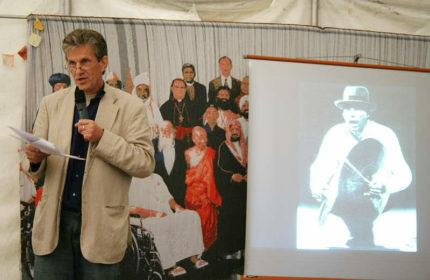 After some time he started to formally study Central Asian Studies at the University of Bonn, Germany. 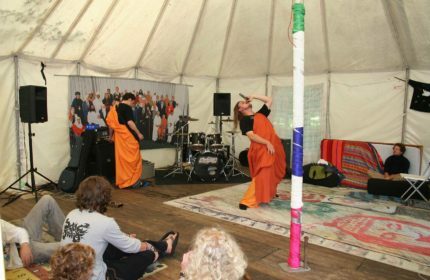 He has been teaching Buddhism in different European countries for over 25 years during which time he has been a member of the boards of several Buddhist organisations. One of his main interests is education and, in particular, how to teach religion to young people. Winfried Kopps is a single father of two boys. He is also a business advisor and lives in Marburg, Germany. Mr. Romel Regalado Bagares (b. 1974, General Santos City, Philippines) has degrees in communication research and law from the state-run University of the Philippines. While in law school, he worked as a journalist for one of the biggest English-language dailies in Manila. As a lawyer, he was involved in – among other public interest cases – a civil society-initiated attempt to impeach the Philippine President on charges of human rights violations, electoral fraud and corruption. For a time, he served as a junior fellow of the Institute for Studies in Asian Church and Culture (ISACC), a Philippine-based evangelical think-tank. He is completing a master’s degree in reformational philosophy at the Vrije Universiteit te Amsterdam, the Netherlands on a scholarship (specializing in international legal theory). Mr. Julian Struijk (b. 1982, Berkel en Rodenrijs, The Netherlands) is currently studying cognitive psychology and philosophy at the universities of Leiden and Amsterdam (Vrije Universiteit), respectively. His field of interest is the relation between mental and physical processes and psychology of religion. Raised up in a strict Dutch Reformed family, he has always had a contentious relationship with his religion of birth although for now, he considers himself as someone who stands (pace Tillich) on the boundary between the reworking and the renewal of faith. He is a recipient of a Pro Rege scholarship in Christian philosophy. Born in Luxemburg in 1947, I studied Oriental Languages, specifically Kurdish and Persian, at the Ecole Nationale des Langues Orientales and Cultural Anthropolgy at the Sorbonne. Later, I spent two years in Iraqi and Turkish Kuridstan studying the oral tradition of the Kurds, recording their fairy tales and music. My attention then turned to India, where I became closely acquainted with the Dhrupad style of classical music. A turning point occurred at the age of 40 when I became, for several years, a student of the Hungarian Joska Soos, shaman and artist. My stays in the Autonomous Republic of Tuva in southern Siberia allowed me to work with the local shamans among the Tuvans, deepening my knowledge. 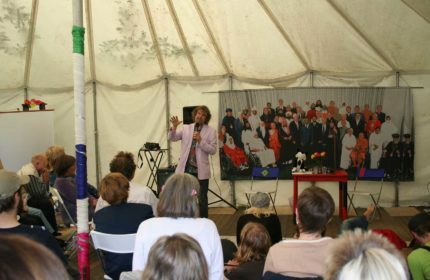 For the past 20 years I have been giving workshops in the Netherlands and France. At present I am based in Amsterdam. 1. General lecture about shamanism from an anthropological and geographical angle: origins, methods, aims and common principles and characteristics in different places and cultures. 2. Explanation of the specific variant of shamanism which I practice. It is essentially based on sound and is typical of northern Eurasia but also occurs in a place like Nepal and south-east Asia. Next I shall give some instructions about the technique of this variant which will enable the audience to participate actively in the ritual. 3. 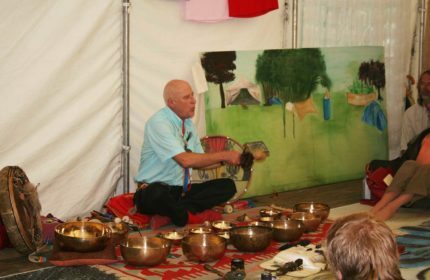 The ritual itself is an active sound meditation in which people will experience the affects of sound on the physical, psychological and spiritual levels. At this time, I sing, drum, play Tibetan bowls and other instruments. 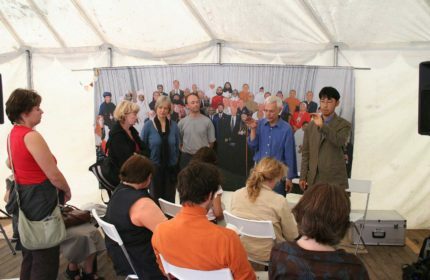 The participants are invited to produce whatever sound comes up in them spontaneously. In this way it becomes possible for them to distance themselves from everyday reality, the ways of thinking and feeling. Specifically, the sound enables them to journey with their astral body into other dimensions. 4. After the conclusion of the ritual the participants can share their experiences. I shall be available to answer other questions they might have or whatever points they might want to raise. My name is Susanne Frieters. I was born in 1968 and studied Catholic theology in Muenster, where I live together with my wife. 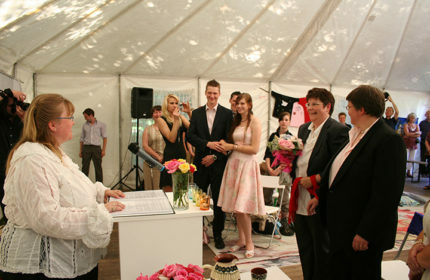 Ceremonies and rituals are important to me: to make something official, to bear witness to it, to give a promise. These are ways to demonstrate – both to others and in the eyes of God – that we are serious about the things we do. They are ways of giving expression to what is important to us; language, actions, symbols, music, and images bring things to life and give them strength, beauty, and meaning. And last, but not least, ceremonies and rituals are ways to communicate, whether we are conveying a message, making promise, giving a blessing, or making a request. I want to offer people these possibilities by providing them with a ritual, setting significant life events – such as a wedding, the birth of a child, or the loss of a loved one – apart from everyday life and placing an exclamation point behind them! And just because I’m religious, doesn’t mean that others have to be so, as well. For sculpture projects muenster 07 , I will be arranging a ceremony to renew marital vows. After five years of marriage, with all of its ups and downs, two women, a lesbian couple, would like to set a binding example by expressing publicly the values upon which their relationship is founded. You are warmly invited to attend this ceremony as guests, or even as bridesmaids and groomsmen, and perhaps also to discover new forms of expression for your own relationship. Dr. Lavinia Byrne’s background is in religion. As a former Roman Catholic nun, she has had ample opportunity to study the effects of religious belief on the development of culture and art. She has travelled extensively and written some 20 books. An internet columnist for Catholic weekly The Tablet and book reviewer for the Anglican Church Times, she has also broadcast with BBC Radio 4 as a religious commentator. A modern language graduate, she taught at Heythrop College, London and at Westcott House, Cambridge where she was tutor and lectured in spirituality and communications. At present she is chaplain to the Mayor of Wells, Somerset, where she lives. In her talk, Dr. Byrne will ask if art is the friend or enemy of religion. What about spirituality? Can it be expressed in three dimensions or even – in the case of the internet – in two? What about orthodoxy? How does art, especially public art, handle dissent? Peter Cave is a philosopher, author and broadcaster – and an atheist who yet delights in choral music. He chairs Britain’s Humanist Philosophers’ Group; often represents atheists and humanists in the media; and is writing a book on Humanism (for 2008). He has edited and contributed to small collections, Thinking about Death and John Stuart Mill on… and has scripted and presented BBC programmes on paradoxes. His book of 33 Perplexing Philosophy Puzzles – Can a Robot be Human? – comes out later this year (publishers: Oneworld, Oxford). Peter studied philosophy at University College London and King’s College Cambridge. After teaching abroad, he has – for too many years – lectured in philosophy in London for The Open University and City University. He lives in Soho, London, and is frequently found ‘wine a-drinking’ in The French House. Dosa Jhana was founded in 2006 when the founding members were feeling that religion should not be confined to certain musical styles and that music should not be automatically linked to certain forms of religion. Dosa Jhana started searching for new ways to present their own views on religion, which could best be described as a modern day form of Buddhism, to their own musical preference: Metal. To better cope with the stresses of everyday life, Dosa Jhana seeks to find inner peace through musical expression, bringing positive energy to those around them, without losing the balls to rock. 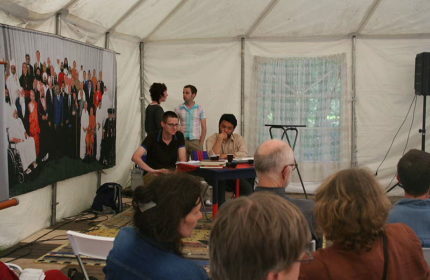 At the sculpture projects muenster 07 Dosa Jhana will perform several songs dealing with the subject of religion in everyday life. They will also present what they call Metal-Meditation: a meditative form of musical improvisation that translates introspective soul searches to expressive sounds. Minerva is a witch and mistress of ritual; for ten years, she has devoted herself to this life and practised her skills. She sees herself as following in the footsteps of the ancient seers and priestesses among her ancestors – the Germanic tribes and Celts – and most of her work is dedicated to restoring people’s ability to use the powers of nature and their intuition so they can be more in touch with themselves. Since 2001 she has also run a witch shop, selling all sorts of healing stones, herbs, and other things. As a witch, she practises all kinds of rituals and Celtic fetes, conducts marriages and christenings, and is called upon to deal with the appearance of ghosts, negative energy fields, and similar occurrences. Gam Klutier is a painter. He was born in the Netherlands in 1946 and studied art and design at the Academy of Visual Arts in Breda. Having lived and worked intermittingly in New York and Lima from 1984 to 2001 he now lives permanently in Peru. He received the Krasner Pollock grant in 1994 and is the writer of ‘The Relativity Riot'(Ruder Finn Press, NY 2003). He shows his work throughout the USA, Latin America and Europe. Arumugam Paskaran is a Hindu priest in the Sri Kamadchi Ampal Temple in Hamm-Uentrop. Consecrated on 7 July 2002, the Kamadchi Ampal Temple is one of the largest Dravidian temples in Europe, with a congregation of 3,000 Hindus from the surrounding region. The temple was founded on the initiative of Arumugam Paskaran, who came to Germany in 1989 in the wake of the civil war in Sri Lanka. After using private spaces at first for various ceremonies, the steadily growing Hindu congregation moved from building to building, until construction work on the new temple was begun in the year 2000. Today, the Sri Kamadchi Ampal Temple is not just a meeting point for many of the Hindus living in Germany. It is also a symbol of how that which is different and occasionally foreign can be integrated into one’s own culture. In his lecture, Arumugam Paskaran will speak about the ties that exist between the temple, the Hindu congregation, and the surrounding, mostly Christian community. Using a variety of examples, he will describe the everyday interactions between the two cultures and how they both enrich one another. Born in the United States, David James came to Germany as a philosophy student in 1967. He earned his living as a language teacher, editor, programmer, and clinical research assistant. After reading the book Fit for Life in 1992, the topic of healthy living became his chief focus. He switched to a raw food vegetarian diet. One of his many inspirations was a climbing apparatus that allowed him to analyse the effects of climbing on human health. In 2001, he joined the spiritual organisation Shumei and played a key role in founding the first European Centre for Natural Agriculture based on the teachings of Mokichi Okada, the founder of Shumei.